Sahil joined Watsi on December 1st, 2015. 43 other people also joined Watsi on that day! Sahil's most recent donation traveled 8,600 miles to support Aung Tin, a teenager from Thailand, to fund eye surgery. Sahil has funded healthcare for 33 patients in 9 countries. Aleaza is a baby from Haiti. She lives with her mother, grandparents, and three older siblings in a neighborhood of Port-au-Prince, Haiti's capital. Aleaza has a cardiac condition called ventricular septal defect. A hole exists between the two lower chambers of her heart. Blood leaks through this hole without first passing through the lungs to obtain oxygen, leaving her sick and short of breath. She also has a condition called pulmonary hypertension, in which the blood pressures to her lungs are higher than normal. As a result, before she can be considered for surgery, she needs to have a diagnostic catheterization procedure to ensure that surgery can be done safely. To determine if Aleaza's condition is operable, she must undergo a diagnostic cardiac catheterization, a procedure that is not available in Haiti. During the procedure, a catheter probe will be inserted into her heart to perform the necessary measurements and tests. On August 20, she will travel to the Dominican Republic to receive the scan at our medical partner's care center, Clinica Corominas. 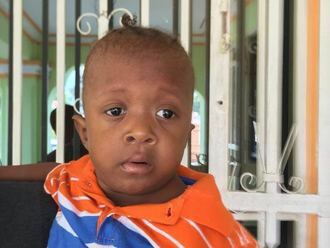 Our medical partner, Haiti Cardiac Alliance, is asking for $1,500 to cover the costs of Aleaza's travel expenses, catheterization procedure, and lab work. Her mother says, "Our family has been working very hard to try to keep Aleaza healthy so that she can have a chance for surgery." Lewis is a student from Kenya. He is the second child in the family. His father is a cobbler, while his mother is a vendor in town. Lewis has clubfoot of his left foot. Clubfoot is a condition in which the foot is twisted out of shape. This causes difficulty walking and even wearing shoes. Fortunately, Lewis traveled to visit our medical partner's care center, AIC Cure International Hospital. There, surgeons will perform clubfoot repair surgery on May 14. Our medical partner, African Mission Healthcare Foundation, is requesting $1,224 to fund Lewis's clubfoot repair. After treatment, Lewis will be free from pain. “I will be happy to see my son walking," says his father. Kompou is a rice and potato farmer from Cambodia. She has one son, five daughters, and three grandchildren. She enjoys watching Khmer and Thai dramas on TV. One year ago, Kompou developed a cataract in each eye, causing her blurred vision, headaches, tearing, and itchiness. She has difficulty seeing things clearly, recognizing faces, and going anywhere outside. When Kompou learned about our medical partner, Children's Surgical Centre, she traveled for eight hours seeking treatment. On March 14, doctors will perform a small incision cataract surgery and an intraocular lens implant in each eye. After recovery, she will be able to see clearly. Now, she needs help to fund this $398 procedure. 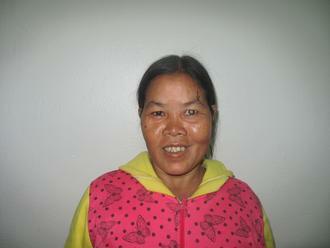 She says, "I hope my vision is restored so I can return to work and support my family again." 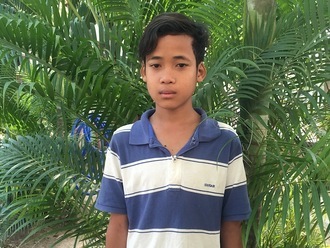 Sokkheng is a seventh grade student from Cambodia. His favorite subjects are math and biology. Since he was born, Sokkheng has had bilateral valgus deformities of the feet. He has difficulty wearing shoes and moving around, which makes him feel embarrassed. Fortunately, Sokkheng traveled to our medical partner's care center. There, he will undergo an osteotomy surgery on February 7 to repair his condition. Now, his family needs help raising $390 to pay for surgery. He says, "I am excited to play football after the surgery and recovery." Mao is a 49-year-old pig farmer from Cambodia. Last year, she fell at her home, which resulted in an injury to her spine. Mao has been taking painkillers to reduce the pain in her back. Mao reports that she experiences pain when she walks or carries out simple tasks around the house. Mao travelled for two hours to visit our medical partner’s care center, Kien Khleang National Rehabilitation Centre, where she was diagnosed with spondylolisthesis. Spondylolisthesis occurs when one vertebra slides forward over the bone below it, causing pain and sometimes weakness in the legs. On September 5, doctors will perform a spinal surgery to restore her ability to walk without pain. Our medical partner, Children's Surgical Centre, is asking for $1,500 to cover the cost of Mao’s surgery. Jessika is a student from Haiti. 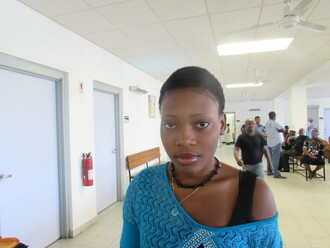 She lives in Port-au-Prince with her mother, father, and younger sister. She has been studying diplomacy in a local university but has had to take time off because of her illness. Jessika has a cardiac condition called rheumatic mitral regurgitation. One of the four valves in her heart has been severely damaged from rheumatic fever, and can no longer adequately pump blood through her body. Jessika will fly to the United States to receive treatment. On December 7, she will undergo cardiac surgery, during which surgeons will either repair her mitral valve, or replace it with an artificial valve.. Another organization, The Heart Hospital Baylor Plano, is contributing $65,000 to pay for surgery. Jessika's family also needs help to fund the costs of surgery prep. The $1,500 bill covers labs, medicines, and checkup and followup appointments. It also supports passport obtainment and the social workers from our medical partner, Haiti Cardiac Alliance, who will accompany Jessika's family overseas. She says, "I am very nervous but am looking forward to surgery so I can continue my studies." Marcus is a student from Haiti. 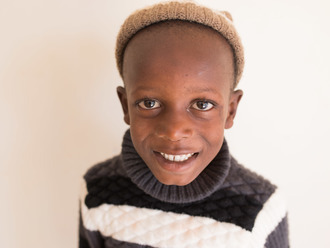 He lives with his parents and two brothers in the mountains of central Haiti. He is in the sixth grade and would like to be an engineer when he grows up. Marcus has a cardiac condition called severe mitral regurgitation. Marcus suffered an infection several years ago, which severely damaged one of his heart valves, making it difficult for his heart to pump blood to his body. Marcus will fly to Cayman Islands to receive treatment. On November 4, he will undergo cardiac surgery, during which surgeons will first try to repair his damaged valve, and if needed, will replace it with a mechanical valve. Another organization, Have a Heart Cayman, is contributing $22,000 to pay for surgery. Marcus's family also needs help to fund the costs of surgery prep. The $1,500 bill covers labs, medicines, and checkup and followup appointments. It also supports passport obtainment and the social workers from our medical partner, Haiti Cardiac Alliance, who will accompany Marcus's family overseas. Marcus says, "I am excited for my surgery so I can have the energy to play with my friends." Queen is an 11-month-old baby from Tanzania. She is the first and only child to her mother, who has been raising Queen as a single parent. Queen and her mother live with her grandmother, who is a subsistence farmer and the primary provider for the family. 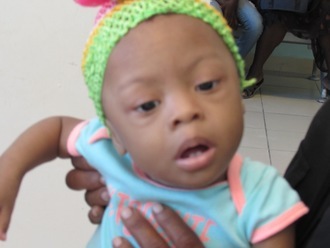 Queen was born healthy, but a few months ago, her head began swelling and she started becoming irritable and losing vision. Concerned, her mother took Queen to a local hospital, where doctors diagnosed Queen with acquired hydrocephalus, a condition where cerebral spinal fluid doesn't properly drain from the brain. If left untreated, hydrocephalus can cause brain damage and even become life-threatening. On July 12, doctors at our medical partner's care center, Arusha Lutheran Medical Centre, will perform an endoscopic third ventriculostomy (ETV) surgery on Queen to help drain the cerebral spinal fluid from her brain. Our medical partner, African Mission Healthcare Foundation, is requesting $1,238 to fund the treatment. “Please help my daughter get well," says Queen's mother.